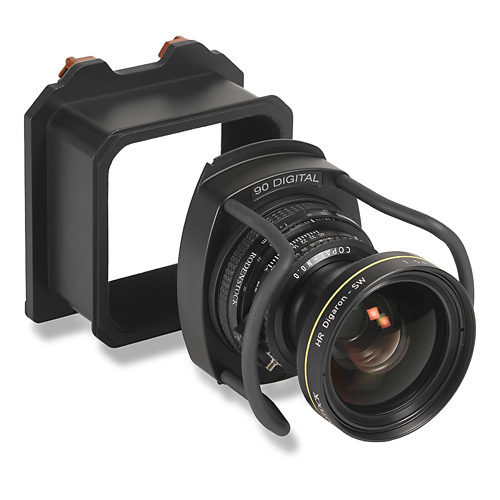 The new Rodenstock HR Digaron-S 23 mm f/5.6 is the first super wide-angle lens providing a large image circle of 70 mm and a flange focal length and back focal length allowing its use with nearly all types of technical cameras. film for taking extreme image angles until now, will be highly impressed by this lens. 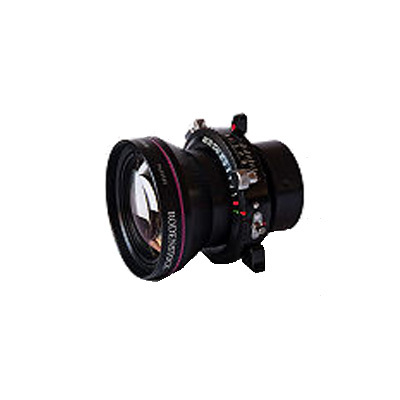 The focal length of 23 mm for a 37×49 mm sensor corresponds to a focal length of 16 mm for a 24×36 mm sensor. The back focal length of 16.5 mm is only 1 mm shorter compared to the HR Digaron-S 28 mm and leaves enough space between the rear mount and the sensor for swing -and-tilt movements without touching the sensor or rear standard. The flange focal length of approx. 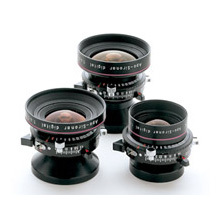 45 mm allows focusing at infinity with almost all technical camera models. 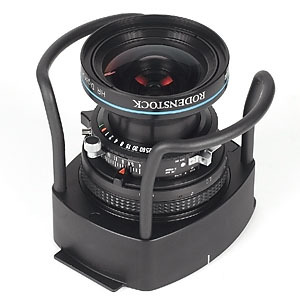 On many of these cameras a flat lens board can be applied, which makes it much easier to set the aperture and the shutter speed and permits the use of the Rollei Electronic shutter. The retro-focus design causes a steeper light incidence at the margin. So the further fall-off in illumination, which is inevitable when using micro lens sensors, can be avoided. No vignetting occures already for the full aperture f/5.6. 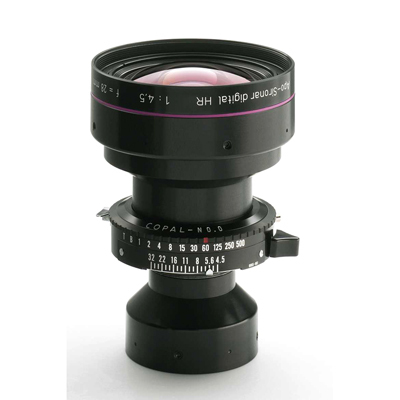 The optical effect of the sensor cover glass has been taken into account in the optic calculation for eliminating its spherical and chromatic aberration, as well as its astigmatism. The high tech multi-coating provides for ultimate transmission, excellent contrast and freedom of ghost and flare.